Got a passion for sport and recreation and a strong head for business? We’ve got the right fitness course for you! Providing you with an understanding of the daily operations of a fitness centre, this Diploma of Sport and Recreation Management (SIS50115) from the Australian Institute of Personal Trainers (AIPT), readies you for a career in management that draws on your skills to plan and manage events, fitness programs and develop a fitness business. Armed with this qualification and your new set of practical skills you’ll be able to manage a successful and thriving fitness centre or facility. Learn how to coordinate client service activities, develop marketing strategies, obtain sponsorships, manage finances, recruit and lead staff, maintain WHS systems and more. AIPT is all about giving their students a competitive edge, which is why this course offers you electives that’ll help build your knowledge of event planning, fitness equipment management and more. 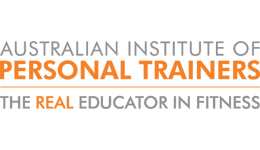 Why study with Australian Institute of Personal Trainers? Fill out this form and a Study Consultant from Australian Institute of Personal Trainers will get back to you.